34 entries categorized "Vehicle Maintenance"
Considering a new car? Make sure you understand all the safety features! On a family trip to Hawaii back in 2012, we rented a Ford Flex that had a back-up camera. Being able to see behind you without wrenching your neck; hearing a helpful beeping noise to let you know you’re about to hit a pillar in the parking garage; it was like a whole new world! We came to rely on that back-up camera very quickly and were sad to leave the Flex behind when we came home. We bought our Saturn Vue brand new back in 2006 and the safety features at the time were basically anti-lock brakes and a robust air bag system. If we were to buy a new car now, we would probably feel a little intimidated by the dizzying range of new safety features available on today’s vehicles. From helpful “heads up” functions like "bicycle detection" and "curve speed warning", to more advanced systems, like "left turn crash avoidance" and "automatic emergency braking", keeping track of all the different functions (and the accompanying noises) of your car’s safety features might start to seem pretty daunting. According to this article in Wired, even your car salesman may not be able to fully explain, or help you set up, the latest safety features on a vehicle. Obviously, spending some quality time with your owner’s manual will provide plenty of details but sometimes it helps to have a demo from someone in the know. That’s where My Car Does What comes in. A collaboration between the National Safety Council and the University of Iowa, the site offers great information about all of the latest safety features available these days, to help you drive safer and smarter. 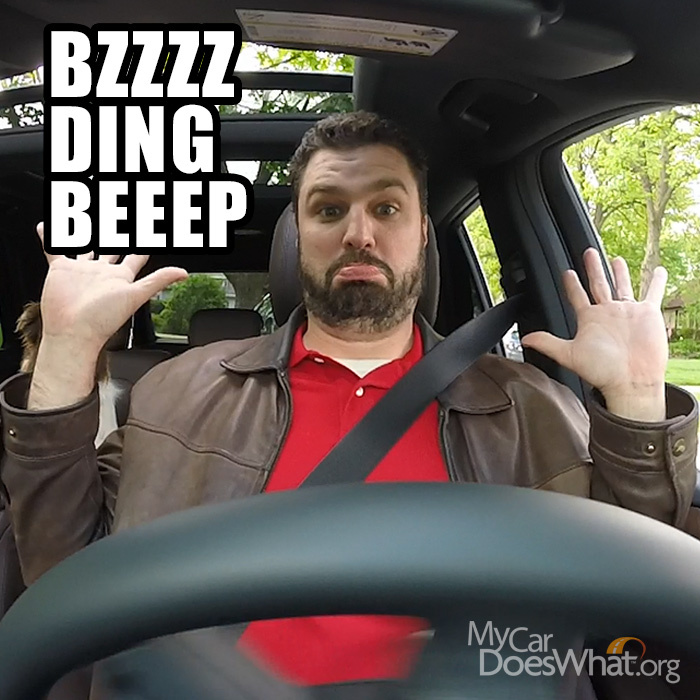 If you just want a quick tip on how a feature works, check out the series of short videos demonstrating the unfamiliar safety features your new car may have to offer. For a more detailed look at each safety feature, check out the Deeper Learning section, which provides more in-depth information on how each of these systems functions and gives you challenging questions at the end, to see if you’ve retained the information. What safety features does your car have? Do you know how all of them work? Do you think they make you a safer driver? Let us know in the comments! The birds are singing, the trees are budding and your engine is making that weird clunking sound again. Your vehicle faithfully saw you through the worst of the winter - now’s the time to give back some love and make sure you’re on schedule for cleaning and maintenance. What's involved in a tune-up? Regular tune-ups can help you save on fuel - and having a professional perform a thorough cleaning and diagnostic of your vehicle can help avoid costly future repairs by catching potential problems early. Keeping your car interior clean isn't just for car pride - having a dirty car interior can actually impact your health. A study conducted by Queen Mary University in London found that around 700 different harmful germs lurk in our car's interiors. And, if you're like me and suffer from allergies, riding around in a car filled with pollen, dust mites and other germs can depress your immune system, making you more susceptible to colds and flu. If, like the average Canadian, you and your family are spending an hour in the car every day, keeping that environment clean can go a long way towards keeping you healthy. How should I prepare my winter tires for storage? Thoroughly clean the winter grime from your tires and make sure to remove any brake dust, which can be corrosive. If your tires are mounted on wheels, be sure to clean the wheels as well with a cleaner approved for use with that type of wheel. Make sure your tires are completely dry. Then, seal each tire up in an opaque plastic bag, removing as much air as possible (some folks use a vacuum cleaner to get the air out). Be sure and mark each tire bag with the tire's original position (Front Left, Back Right, etc. ), so that you can replace or rotate your tires come next winter. Now your tires are ready for storage! When is the best time to rust-proof? There are mixed opinions on whether spring or fall is the best time. An article in Auto123.com says that spring is better than fall because “The mild-to-warm temperatures will allow the products to better penetrate the treated areas.” Also, your vehicle is usually dredged with salt over the winter and we know that salt helps rust form on your vehicle. Getting your vehicle rust-proofed in the spring will ensure that all the salt is cleaned off thoroughly and that there won’t be any remnants of it over the summer. How do you shake winter off your car and prep it for spring? Share your tips in the comments! The last few dazzling autumn leaves have fallen from the trees and this morning, your lawn made a crunching sound. It’s officially winter in Canada. Canadian winters are notoriously hard on vehicles and having a break down in the freezing cold is nobody’s idea of fun – so here are a few winter car care tips to help you keep your vehicle running smoothly through the season. Test your battery: Have your battery and charging systems checked to ensure they’re performing optimally. Canadian winters are hard on batteries! Be cool: When’s the last time you cleaned, flushed and put new anti-freeze in your cooling system? This should be done roughly every two years to keep the system working through the winter. Check your exhaust system: Make sure your exhaust system isn’t leaking carbon monoxide, which can be very dangerous in winter, when we’re all driving around with the windows shut. Get a clear view: Make sure your headlights and taillights are working and are aimed properly. Top up your windshield wiper fluid and make sure your wipers are clearing your windshield completely with each swipe. Keep on top of your tires: If it’s consistently 7C or below in your area, it’s time to switch to winter tires. Make sure you’ve installed four matching winter tires and that they’re properly inflated. Checking your tire inflation regularly is especially important in the winter, as cold temperatures cause tire pressure to fluctuate. Be prepared: Having a fully-stocked emergency car safety kit in the car is important all year round, but unpredictable winter weather makes it even more essential. Go through your kit and replace any items that are worn or have expired. 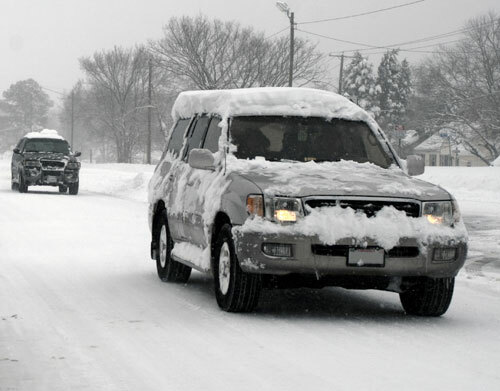 Protect your exterior: The combo of road dirt, salt and snow is hard on your vehicle. Make sure to visit the car wash when you start to see a build up of sludge. And make sure to clean the snow off your car before you drive. 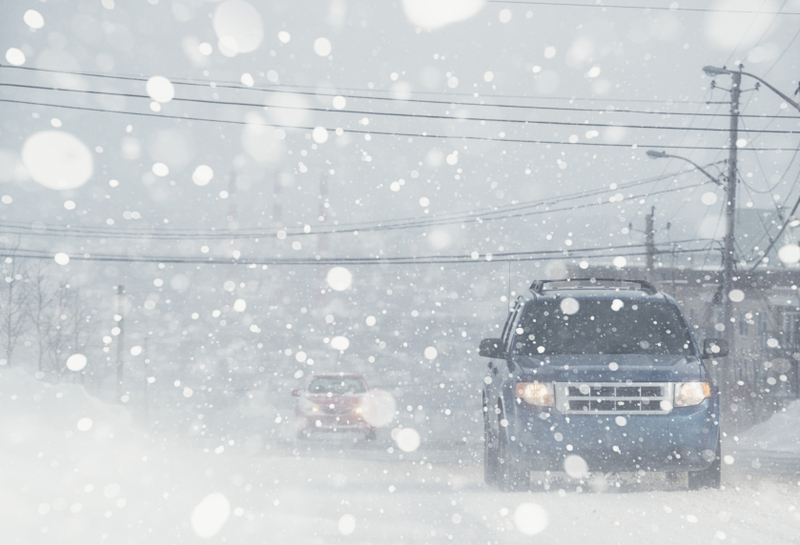 How do you keep your car running smoothly through the winter? Let us know in the comments! We’re all about Ways to Save on Fuel here at PumpTalk and as summer draws to a close, here are five fall maintenance tips that can help improve your fuel efficiency and prolong the life of your vehicle. Check your air filter. The cleaner the air filter is, the more air flows through to your engine, optimizing your fuel mixture and gas mileage. Check your owner’s manual to see how often they recommend changing your air filter. And in the meantime, here's a good trick to see if your air filter needs to be replaced - hold it up to the sunlight. If you cannot see light coming through it, it's time to change it. Also, most filters are light coloured - similar to your furnace filter. If it's grey or black - yep, you guessed it - time to replace. "[Tire] underinflation increases rolling resistance, which reduces tread life and increases fuel consumption. It can also lead to sudden tire failure. Without enough air, the sides of a tire bend and flex too much. This builds up heat, which can cause serious damage. Operating a vehicle with just one tire underinflated by 56 kPa (8 psi) can reduce the life of the tire by 15,000 km and can increase the vehicle’s fuel consumption by 4%." Check your tire pressure every month and make sure they’re at the optimum pressure recommended by your owner’s manual. Check your oil and your oil filter. When to change your oil depends on a number of factors, including how hard you drive your vehicle and what kind of vehicle you drive. Check your owner’s manual for the recommended timing on oil changes – and be sure to use the manufacturer’s recommended grade of motor oil. Using the wrong grade can negatively affect both your engine and your fuel efficiency. Check your battery cables. If your battery cables are corroded, that means the alternator has to work harder – and that uses more gas. Make sure that your battery cables cleaned (or replaced, if necessary) as part of your regular maintenance. Check your gas cap. The gas cap not only keeps dirt and debris out of your fuel but it also keeps your fuel from evaporating out into the air. If the cap is broken or the seal is compromised, you could be losing up to 3.5 litres every couple of weeks. A new one is worth the investment! Flush your fuel injectors. Since your fuel injectors' job is to shoot gas into your engine, keeping them clean has a big impact on your fuel efficiency. Clogs in your fuel injectors can not only cause poor gas mileage, but can also cause your engine to misfire, idle roughly or even cause hesitation when you step on the accelerator. You don't have to clean your fuel injectors as often as you change your oil, but you should perform a fuel injector flush every 50,000km to 90,000km to keep them free of debris and performing optimally. Taking your vehicle in for regular maintenance is the best way to ensure that you’re getting most out of your fuel. 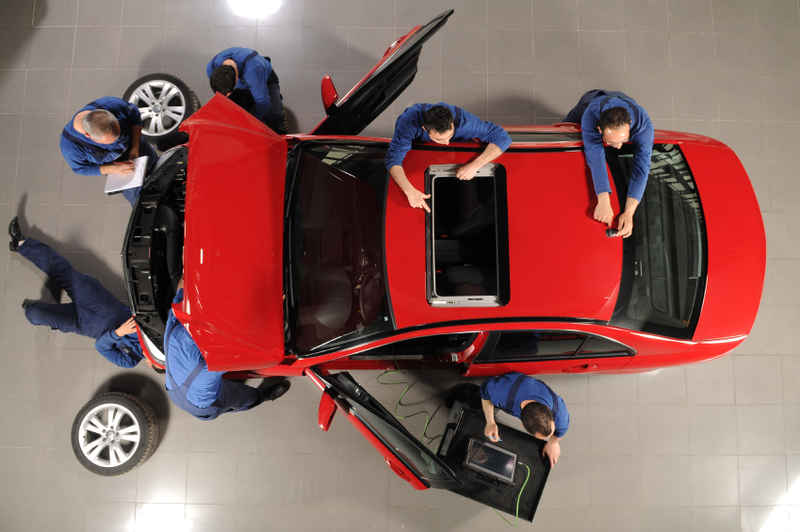 When’s the last time you took your vehicle in for a tune-up? Did you notice a difference in your fuel consumption afterwards? When is it Time to Get New Tires? Now that winter is (hopefully) behind us, it's time to switch out the winter tires! So now seems like a good time to ask - how do you know when it's time to buy new tires? 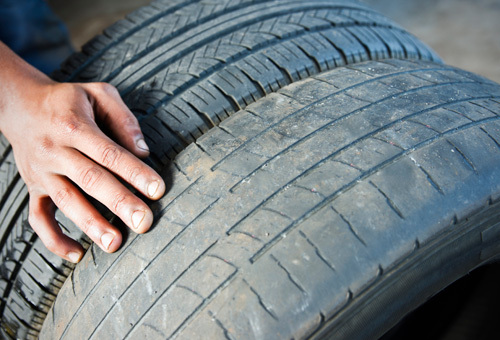 In general, you should be checking the air pressure and doing a visual inspection of your tires once a month. 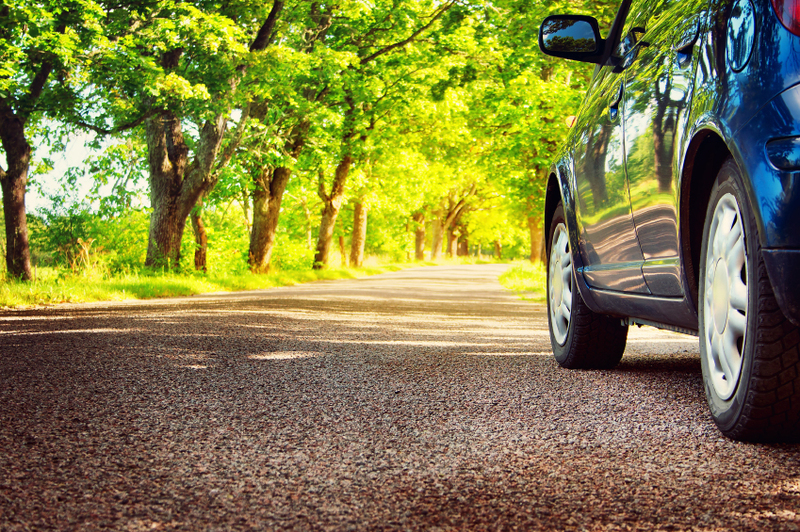 With normal wear and tear, tires should be replaced at least every six years. But if you spend more time in your car than the average commuter or frequently drive over rough terrain, you may need to replace your tires sooner. Check the tread wear. The main function of your tire treads is to avoid hydroplaning by diverting water from under the tires. The more worn the tread, the less traction you have on wet roads. There are a few ways you can check the tread wear on your tires. One of the most popular is the "penny" method. Insert a penny with the Queen's head facing down between the treads of your tire. If you can see the Queen's whole head, that means your tread is worn down to 1.6mm (2/32"), and it's time to replace your tire. Since our penny has been discontinued, it might be tricky to find one for this test! Fortunately, there are other ways to check your tread depth. You can purchase a tire tread gauge to check your tread depth or you can check for the tread wear bars on your tires, which run perpendicular to your treads. The more worn your treads, the more visible the tread wear bars become. Once the tread wear bars are flush with the treads themselves, it's time to get new tires. All that said, waiting until the treads are worn down to 1.6mm is similar to waiting until your car is running on fumes before filling up the tank. To maintain good handling and traction on wet roads, some experts suggest replacing your tires when the tread depth is 3mm (4/32") rather than the standard "Queen's head" measurement of 1.6mm (2/32"). Check the sidewalls. If you see any bulges in your sidewalls, that's an indication that the rigid interior of your tires has been damaged (by going over a particularly deep pothole, for example) and air is pushing against the flexible exterior of your tires. A bulge or wave in your sidewall could mean that a blow-out is imminent, so be sure and take your car in as soon as possible for a tire change. Cracks or cuts in the sidewalls present a similar problem - the rubber may be drying out or your tire could be developing a leak. Avoid getting a flat by replacing any cracked or cut tires. Note any changes in handling, traction or vibration. If you feel like it's taking longer to come to a stop or that your car isn't handling well in wet conditions, your tires might be the culprit. Similarly, if you're noticing a marked increase in vibration when you drive, it could be that your tires are aligned incorrectly or that your shocks aren't working properly - but it could also be a problem with the tires themselves. When in doubt, get your tires inspected. For more information about replacing your tires and how to choose new ones, visit BeTireSmart.ca. And if you're switching out your winter tires, check out our post about how to store your tires when they're not in use. When's the last time you replaced your tires? I climbed into our vehicle last weekend and caught a whiff of something musty. After some intense investigative sniffing, I still had no idea where the smell was coming from. Then I noticed some green gunge around the window seals - the same green gunge that builds up on our concrete patio through our rainy winters. Since we park outdoors all year round, the rainy winter caused algae to grow on the car, hence the mildewy smell. Blarg. As I looked around the rest of the car, it occurred to me that it had been awhile since we cleaned it. Like, a loooong while. So, with the spring equinox right around the corner, now seems like a good time for some real talk about spring car cleaning. Get your car detailed or do it yourself. Start the spring off right with a deep clean. Remove and thoroughly wash and dry the floor mats, vacuum or steam clean the floor carpets (don't forget the trunk!) and any upholstery in the car. Dust hard surfaces with a damp cloth and mild cleanser and use compressed air to blast crumbs and other debris out of hard-to-reach crevices. If you have machine washable seat covers like we do, throw them in the wash. And if, like me, you have algae build up on your window seals, get an old tooth brush, some warm water with a mild cleanser and go to town. This article has some great tips on how detail your vehicle. Make sure to change your cabin air filter every year. The cabin air filter is what keeps the air in your vehicle clean by filtering out pollen, dust mites, dirt and other particles before they enter your car. Maintain the clean. Steam cleaning your car once or twice a year is great but little everyday acts of cleanliness can help keep your car - and you - in a healthier state. Don't leave food wrappers, coffee cups or other food garbage in the car. 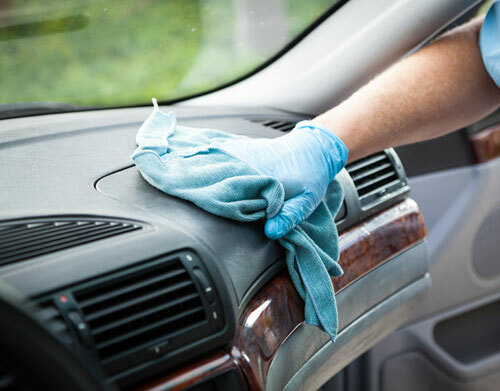 Wipe down hard surfaces regularly with a damp cloth and some mild cleanser - especially places that you touch most often, like the steering wheel, door handles, cup holder area, etc. Vacuum regularly, especially if you or your kids like to snack in the car or if you have a pet who likes to catch a ride. When's the last time you deep cleaned your vehicle? Driving Blind Can Get You Fined - Clean the Snow Off Your Car! a) Just give the windshield a swipe and hope the rest blows off before you hit the highway? b) Get your snow brush out and thoroughly clean off your entire vehicle, cursing our Canadian weather and dreaming about the giant cup of coffee you're going to buy on your way to work? c) Go back to bed? If the answer is b) or c), you're good to go. But not thoroughly de-snowing your car is not only dangerous for you and other drivers, it's actually illegal. Fines for not completely cleaning off your car vary by province, but you can be pulled over and ticketed by police if they deem your vehicle insufficiently clean. Recently, in Ottawa, one police officer stopped 63 vehicles in the course of 90 minutes because they hadn't been cleaned properly. Lucky for the drivers, he let them off with a warning - but not before he personally finished cleaning off their vehicle. Leaving snow on your car creates a danger for other drivers - if snow or ice blows off your vehicle into their car, they could end up momentarily blind or with windshield or wiper damage. Winter driving is hazardous enough as it is - adding snow and ice flying off your vehicle as well increases the risk of accidents for everyone on the road. Monthly Poll: Are You a Handy Mechanic? I have a confession to make. I spend a lot of time researching car-related topics for PumpTalk, so I have a pretty good theoretical knowledge of how my car works. But when it comes to actually looking under the hood, I can get a little lost. I remember my dad showed me where the dipstick is one time and I couldn't stop laughing at the word "dipstick". Thus ended the lesson. The great thing about this internet age is that there are myriad online ways to educate yourself about the inner workings of your car. For example, if you love video games and want to learn more about car repair, check out Car Mechanic Simulator 2014, a video game where you fix cars and operate your own auto repair shop. Fun! If video games aren't your thing, never fear - there are some great automotive advice sites out there to start you on your DIY journey. Some are geared specifically to women, like awesome automotive advice site AskPatty.com, while others like CarTalk.com cater to a more general audience. Of course, it's a stereotype that men love to work on their cars and women don't. I know a number of car crazy gals who are really into DIY with their vehicles and plenty of men I know enjoy driving but leave any maintenance work to the professionals. Over to you! Do you consider yourself a greasemonkey or do you prefer to keep what happens under your hood a mystery? Take our poll below! 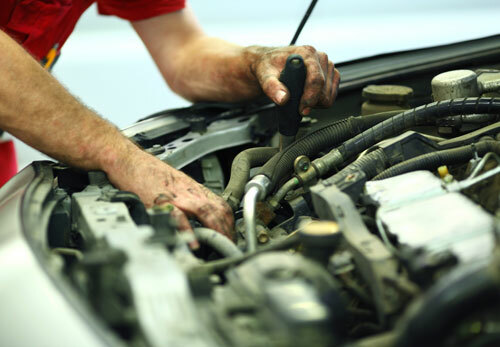 Do you consider yourself a handy mechanic? Help! My Car Has Been Invaded by Rodents! Brrr .. it's a wet, snowy day out there. I just want to curl up someplace warm and dry where it's dark and quiet and I'll be relatively undisturbed. Maybe with some tasty snacks nearby for when I get peckish. Sound like a nice afternoon cozied up by the fireplace? Nope. This is what mice and rats think about your warm car engine! Mice, squirrels and other rodents have been the source of expensive and sometimes dangerous damage to car engines. Mice like to gnaw the wires to help sharpen their teeth plus they are attracted to the chemicals in the wiring. Squirrels have been known to store a cache of nuts in a car's air filter. And aside from the damage they cause to the car, deer mice are also carriers of the hantavirus which can be fatal to humans. So how can you keep those pests out of your car? If you're parking outside, try not to park near shrubs, wood piles or anything that has a food source (e.g. bird feeders or compost piles) that rodents might enjoy. If you're parking inside, leave your hood open and a light on; the less dark and cozy you can make it, the better. If you're storing your vehicle for a long time, put cedar balls or moth balls under the dash or on the engine; mice don't like the smell. Just make sure to remove them before starting your car up again. Talk to your mechanic about installing fine mesh over the air intakes to prevent rodents from coming in. If you do find evidence of mice or other rodents spending time in your vehicle, exercise caution when cleaning up after them. 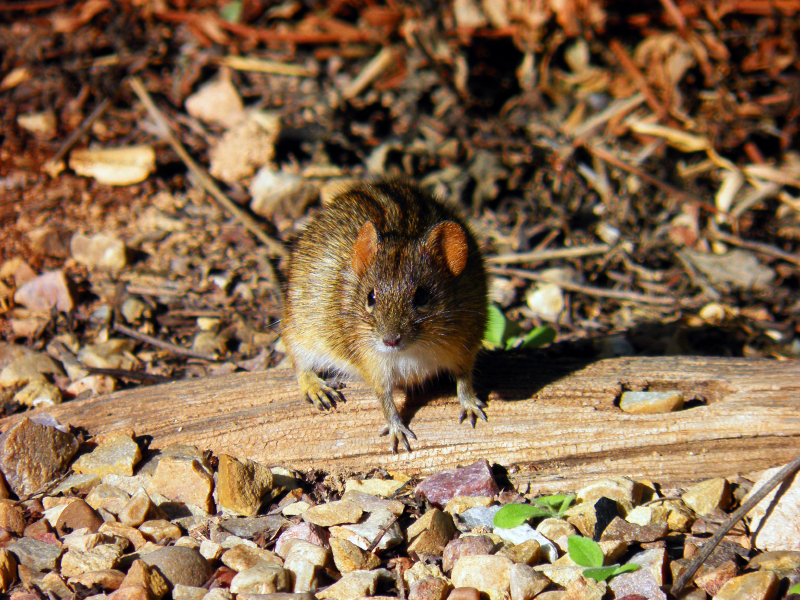 Rodents can carry disease, particularly deer mice who carry the banta virus. For more information about preventing and getting rid of rodents, HealthLinkBC provides some good tips and detailed information. Have you ever found mice or squirrels nesting in your car? Monthly Poll: What Kind of Road Trip Packer Are You? My least favourite thing about road trips is packing up the vehicle. Correct car packing procedure involves four things I greatly dislike: thinking, planning, bending and doing. I'm more of a spontaneous, "toss it in and hope for the best" type of packer. Fortunately, my better half is an expert packer and since we've been together, my only jobs are to bring the bags to the curb and wrangle the dog. Teamwork! "Being organized" when it comes to packing is apparently something one learns from one's parents. Fortunately for those of us whose packing skills were not honed when we were young, the internet is here to help! A quick look at Pinterest and you'll find thousands of organizational tips and tricks for road trip or camping packing. Some people make lists and pack into plastic bins; some people favour traditional suitcases and ziploc bags. Some people pack one bag per person, others choose to pack everyone's stuff together for each day of the trip. After looking at several photos of well-organized trunks, I'm almost ready to try a more organized approach to packing myself! Almost. 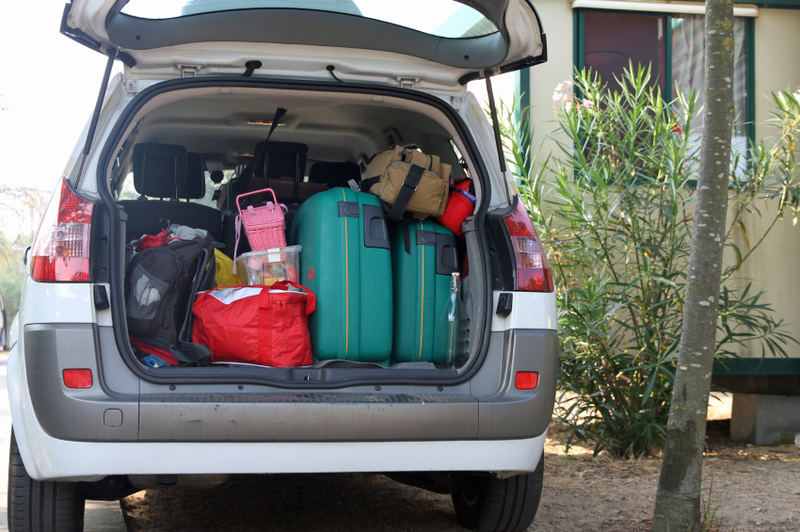 Regardless of your packing style, this article in has some great tips on how to pack your car safely - definitely something for even the most cavalier packer to consider. Over to you! Are you the "lists and planning" type or the "toss and go" type when you pack for a road trip? Take our poll below! What kind of road trip packer are you?